CASEY will play their first home game of the season this Saturday afternoon against North Melbourne. Get to the game early to soak up the City of Casey Community Day. Arrive early to the game to enjoy the City of Casey Community Day from 1.00pm on the adjacent Casey Demons Football Oval. Casey Fields is located approximately 50km from Melbourne CBD in Cranbourne East. Parking is available on site. You can get to Casey Fields using the 798 bus, which departs from Cranbourne train station. With major works ocurring on the Cranbourne line, refer to the PTV Journey Planner for the latest updates. 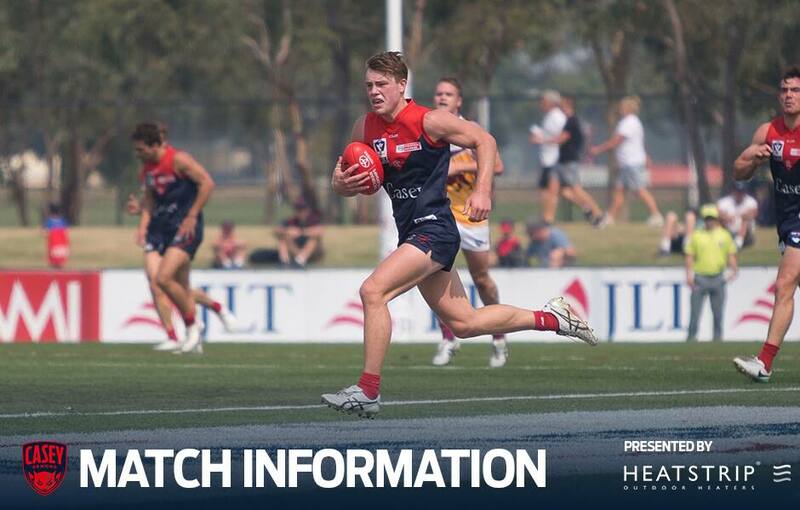 If you're a Melbourne or Casey Demons member with match access, you'll receive FREE admission to the game when you show your Membership card at the gate. Tickets to the game available at the gate on match day. Sign up for a Casey Demons Membership today to enjoy access to all VFL and VFLW home games. 3SER Casey Radio 97.7FM will provide play-by-play audio commentary of the match. Follow the club on social media for live match coverage and behind-the-scenes insight into match day.